Another summer has come and gone and we haven’t had as many trips lately. 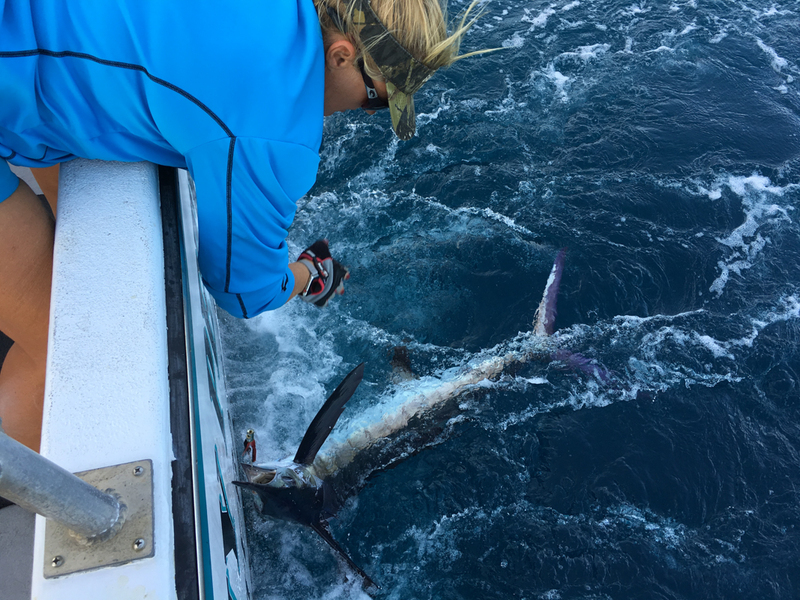 Our last couple of trips were Gulf Stream charters and we found good fishing. 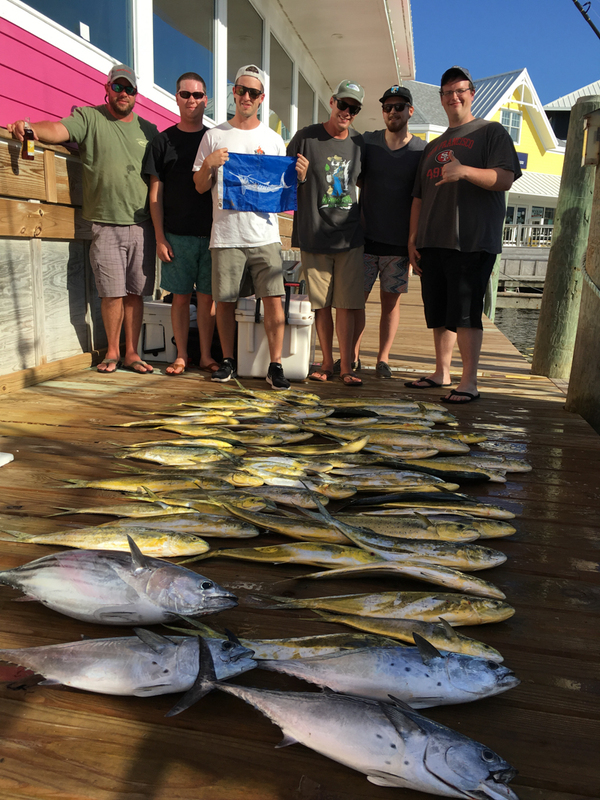 Bottom fishing has been as good as you want and there have still been some good days for mahi fishing. 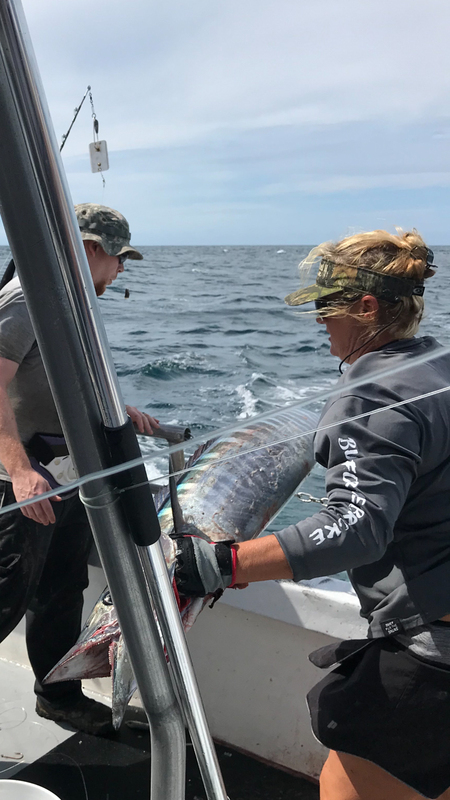 There have also been some catches of wahoo when the conditions have been favorable. 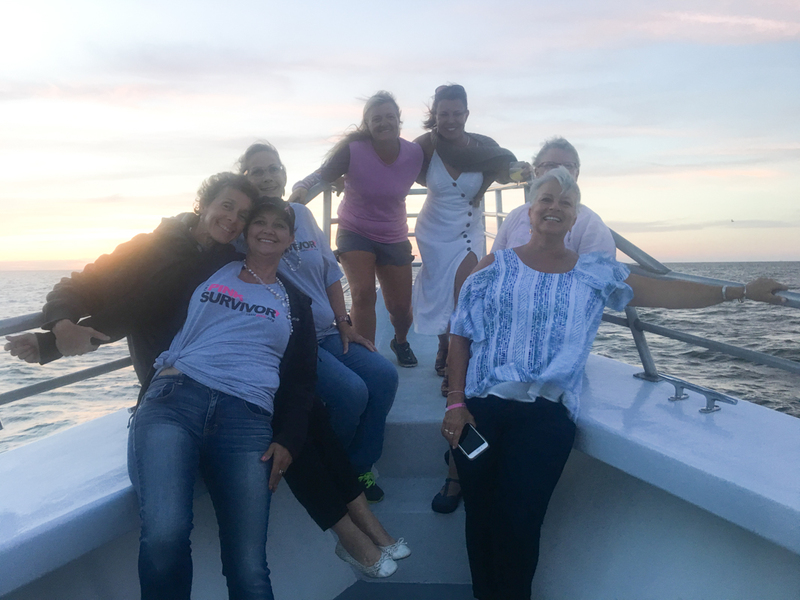 We have the only boat in Hatteras that regularly offers private charters for seven or more people. The Stormy Petrel II is a USCG inspected vessel and is fully approved for this service. We are available for full day or half day charters and private cruises. 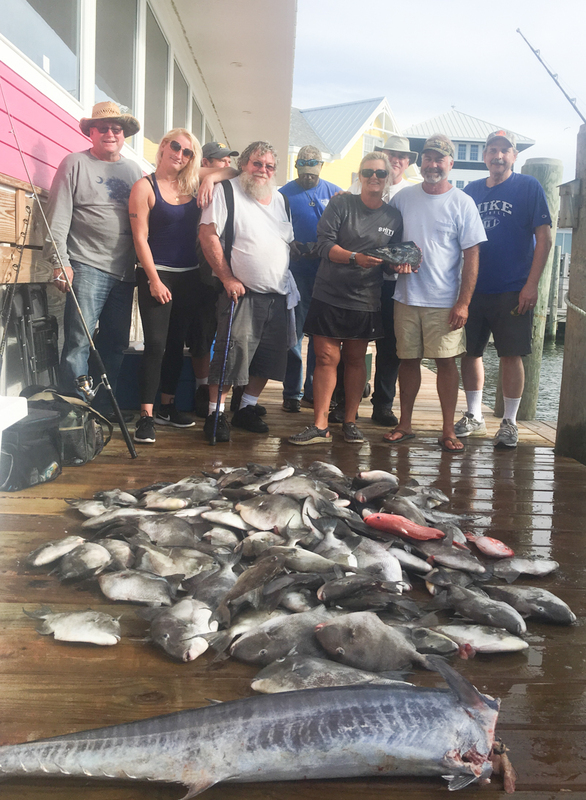 Call (252) 473-9163 or (252) 986-2077 to arrange a charter. Hey , How you 'all Doin.... Come on Down and Sea Us!!!!!! Ending the Season @ 1000% Success Rate on Pin Fish Caught by this 93 Year Young Grandma!!! !